The 18th edition of the Eurafric forum, the "Water & Energy in Africa" forum, has resolutely embarked on the shift towards renewable energies. It makes sense, since the event was held for the first time on BePositive, the leading French trade fair on the energy and digital transition of buildings and territories, held in Lyon, France, from the 13th to the 15th of February 2019. Lightning days, the meeting place for lighting and LED technologies, which joined the show this year, has further strengthened its consistency and opportunities for Africa. 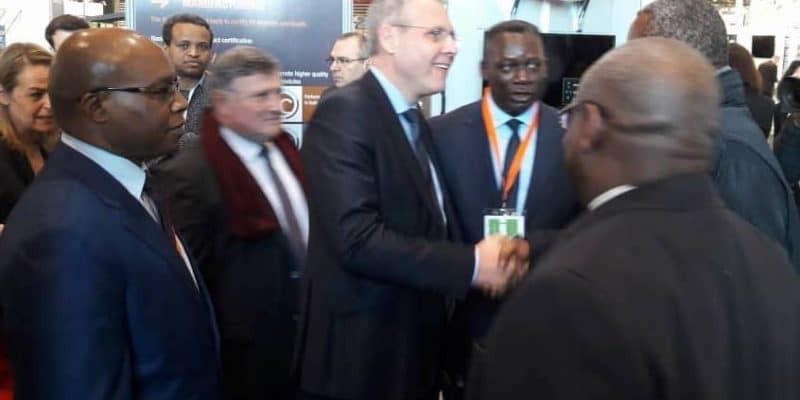 Eurafric, the annual “Water & Energy in Africa” forum, organised by the African Business Development Agency (ADEA), brought together many African decision makers and green solution providers on BePositive, the exhibition on the energy and digital transition of buildings and territories, which hosted the forum in Lyon (France) from February 13 to 15,2019. Abdoulaye Kanté, Director of ADEA, underlines the interest of the connection with BePositive for delegations that have put renewable energies at the centre of their priorities. “This year, in addition to the large dam projects of the Central African Power Pool (dubbed PEAC in French), it is solar pumping for AEP (drinking water supply) and intelligent public lighting that have grabbed the attention of African decision makers.” Says the ADEA Director. Jean-Christophe Ragni, Group Managing Director and Laurent Herbaut, Head of Africa, are regular visitors to the Eurafric forum. Ragni, a company specialising in street lighting and street furniture, has been present in Africa for almost 40 years. It opened its first office in 1995 in Casablanca, Morocco, then in Libreville, Gabon, Equatorial Guinea and finally in Congo Brazzaville. Present in some thirty countries, Ragni and its subsidiary Novea Energies, a specialist in solar lighting, currently generate sales on the continent of nearly €10 million, almost two thirds of the export turnover and nearly 20% of the global turnover. The next day, the day after the official inauguration, Rudy Belliard, CEO of Novea Energies, was present, alongside Nicolas Mercadal, product marketing manager of Sunna Design and Éric Tolot de Fonroche, at the presentation by Philippe Malbranche, CEO of INES, of the practical guide “Autonomous solar lamps”, coordinated by Solenn Anquetin, head of international programmes at the National Solar Energy Institute. Working with three competitors on the same practical guide was certainly a challenge, but the result is up to the task. It provides concrete and precise advice to avoid the risk that, as in Guinea Conakry, 38,000 solar streetlights are installed and that, less than a decade later, 95% of them become out of service. A Eurafric delegation at BePositive, on the EDF Renewable Energies booth. Other conferences made the event interesting particularly those where, the National Solar Energy Institute (INES) was present: the International Solar Alliance (ISA) presentation, with 90 people in the hall and the testimony of 7 African countries on their experience with solar projects; the conference on solar financing tools; the West African Development Bank (BOAD) and the workshop on rural electrification in Africa, with 50 participants and the testimony of 4 countries. We also highlight the presentation by, BPI France of public guarantees and international project financing. Overall, the striking feature of these meetings was the fluidity and coherence of offers. 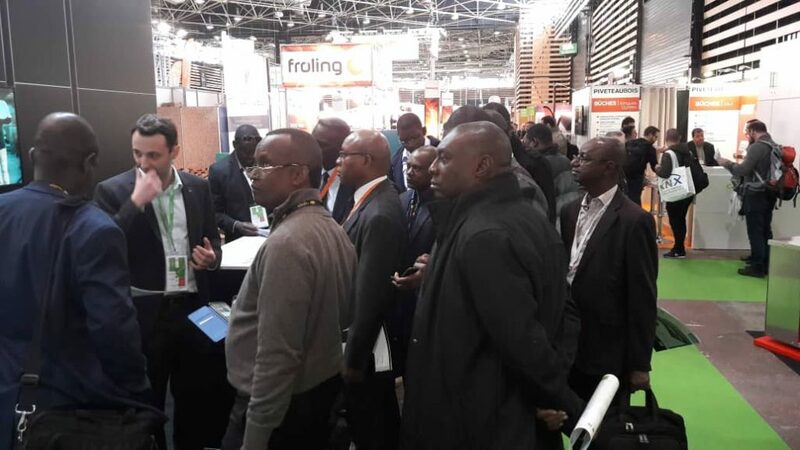 Between Eurafric, BePositive and Lightning Days (the meeting place for lighting and LED technologies), the African visitor went from one conference or stand to another to discover financing advice, tools, solutions and innovations to arm themselves against the current energy transition. On the last day, a visit to the show was organised by Abdoulaye Kanté. African delegations were particularly well received at EDF Énergies nouvelles and its subsidiary Photowatt as well as at Recom Sillia.